For almost 20 years, our dedicated guests continue to enjoy our extraordinary hospitality, exceptional service and outstanding food. 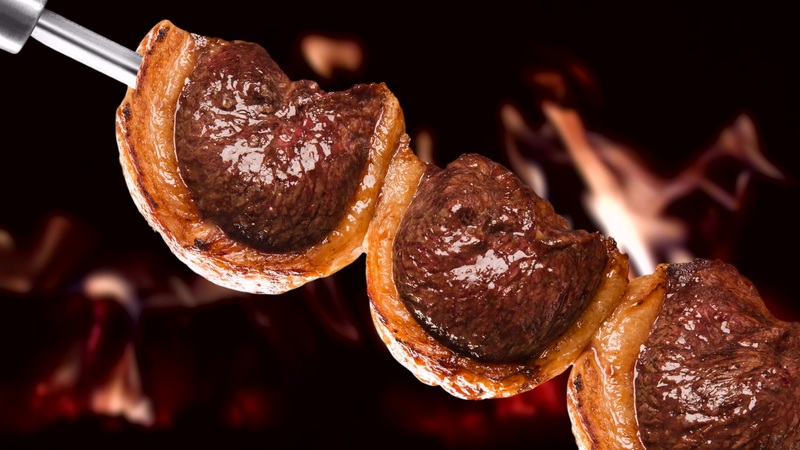 We offer traditional Brazilian Churrasco, an exquisite bar menu, a world-class cocktail list and an extensive wine selection - all this by Viaduct Harbour’s beautiful waterfront. Our commitment to providing pure excellence is unfaltering. Relax and enjoy in the knowledge that we will exceed the expectations of all who enter our doors. Signature dishes, small plates, gourmet burgers and more served in a designated dining area. Our wine cellar features over 140 varietals predominantly from New Zealand, as well as South America, Australia, France, Italy and Spain. We also offer a large selection of award-winning cocktails and twisted classics along with an extensive range of craft beer and premium spirits. Indoor and outdoor dining with unobstructed views of the Waitemata Harbour, for groups large and small. We welcome groups of any size up to 300 and can accommodate your event even at a short notice at any time of the year. All food was perfectly prepared and service was second to none. The food kept coming out until you surrendered and turned your marker upside down. There is an extensive range of drinks to help was down the wide selection of perfectly cooked meats. Great entrees and dessert cart to be had as well. Went for the churrasco experience and it was awesome. Food was top notch and service exceptional. If you’re a meat lover like me, you gotta try this place. This is my go-to for special occasions as it can be pricey but well worth it. OMG, the food was amazing...... Beef & Lamb was mind-blowing. The service was great and will recommend this place to all who visit Auckland. All you can eat Brazilian BBQ, flavours are intense and the service is 10/10 quality. No confusion with sequence of service. Icing on the cake was the Margarita. Probably my favourite place to go to, ever. Hands down best selection of meats and the side vegetables you get with your meal are beautiful.